Moms Demand Action volunteers and supporters hit the road for Tallahassee, Wednesday morning, to take part in Advocacy Day at the capitol and urge lawmakers to pass more gun control laws. 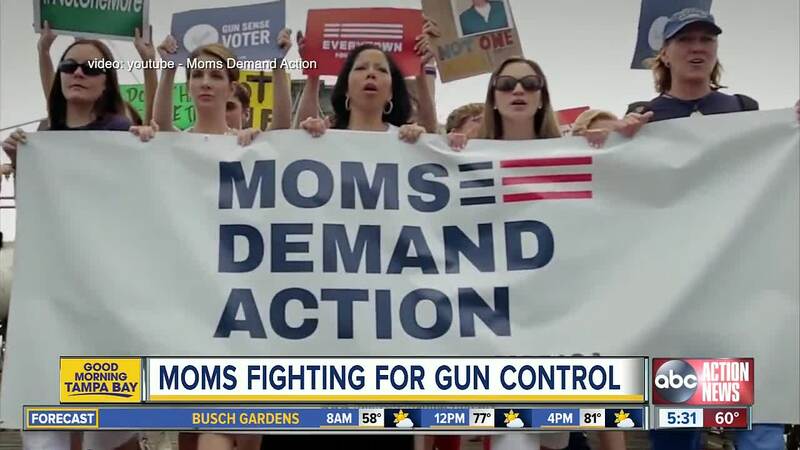 TAMPA, Fla. — Moms Demand Action volunteers and supporters hit the road for Tallahassee, Wednesday morning, to take part in Advocacy Day at the capitol and urge lawmakers to pass more gun control laws. About 55 volunteers left for Tallahassee from Tampa. Statewide, Moms Demand Action will have about 500 supporters lobbying legislators. 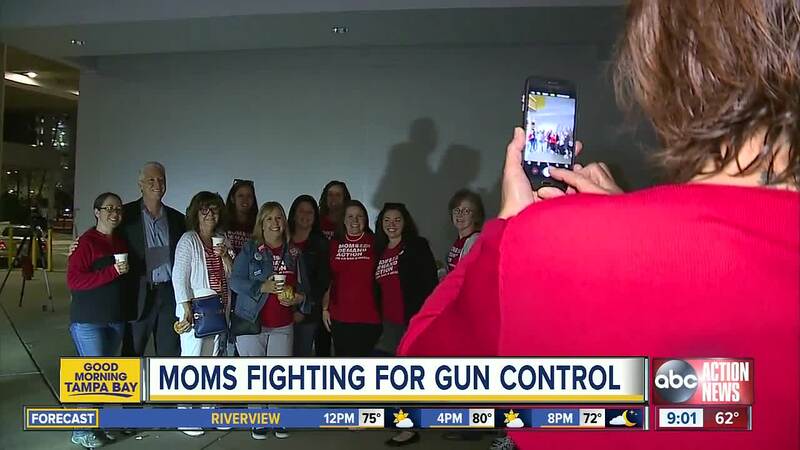 The moms say they want lawmakers to keep laws that were put in place after the Parkland shooting by the Marjory Stoneman Douglas High School Public Safety Commission. But they also want lawmakers to strike down bills that would arm teachers. In a fact sheet from their website, they say the cost and practicality just doesn’t make sense. The women will spend the one-day trip talking to lawmakers about disarming domestic abusers, closing gun show loopholes and creating universal background checks for anyone buying a gun.